Woodridge Strathmore Terrace is a 55+ community in Mount Sinai, New York. This well-established active adult neighborhood has been attracting homebuyers since it opened in 1974. The community was completed in 1985 with 226 attached homes, offering a low-maintenance lifestyle in beautiful residences. Woodridge Strathmore Terrace also has all the amenities to keep residents socially and physically active. The community's proximity to everyday conveniences, golf courses, and all the attractions on East Long Island make it a favorite for New York's active adult homebuyer. At the center of Woodridge Strathmore Terrace is the clubhouse. Indoors, neighbors can be seen gathering in the meeting room. Residents can also join a game around the card or billiards tables. Homeowners can break a sweat in the exercise room or simply relax with a good book in the library. Outdoors, Woodridge Strathmore Terrace ensures that residents can make the most of the warmer months. A pool and patio greets homeowners in the back of the clubhouse. Woodridge Strathmore Terrace also offers courts for tennis, bocce ball, shuffleboard, or racquetball. For a more relaxed afternoon, play a round on the minature golf course or take in the beautiful sights of your neighborhood with the walking and biking trails. A community bus is available for trips to local destinations or for shopping excursions. Woodridge Strathmore Terrace was developed between 1974 and 1985 and is now home to 226 attached residences. These homes range in size from approximately 1,000 to 2,000 square feet and have one or two bedrooms, one or two bathrooms, and a parking space or attached one-car garage. These ranch-style homes contain walk-in closets, sun rooms, and wooded private backyards. Thanks to the homeowners' association, residents enjoy more time to do as they please. The monthly fee covers lawn maintenance as well as snow removal. Woodridge Strathmore Terrace provides plentiful ways to live an active lifestyle. There are several social events planned like holiday parties, billiards games, and comedy night. Enjoy some friendly competition with games of poker, Mah Jongg, canasta, or bingo. Get your hands dirty with the garden planters or volunteer your time with the library committee. There is something for everyone in Woodridge Strathmore Terrace. Woodridge Strathmore Terrace is located in Mount Sinai on Long Island, NY. Just up the street from the community is Route 25A that contains several stores for everyday needs like banks, restaurants of all kinds, a King Kullen grocery store, as well as a CVS. Interstate 495 is seven miles away for traveling across Long Island while Long Island MacArthur Airport is about 17 miles away. John T. Mather Hospital is about ten minutes from Woodridge Strathmore Terrace. Homeowners also love being near all that Long Island has to offer. Port Jefferson is next door to Mount Sinai and has several attractions like a bustling Main Street with boutique shops, local restaurants, and museums. The Willow Creek Golf and Country Club is within walking distance from Woodridge Strathmore Terrace and the area also hosts Pine Ridge Golf Club and Rolling Oaks Golf Course. Outdoor enthusiasts will love being near Long Island Sound, Brookhaven State Park, and Setauket Woods Nature Preserve. 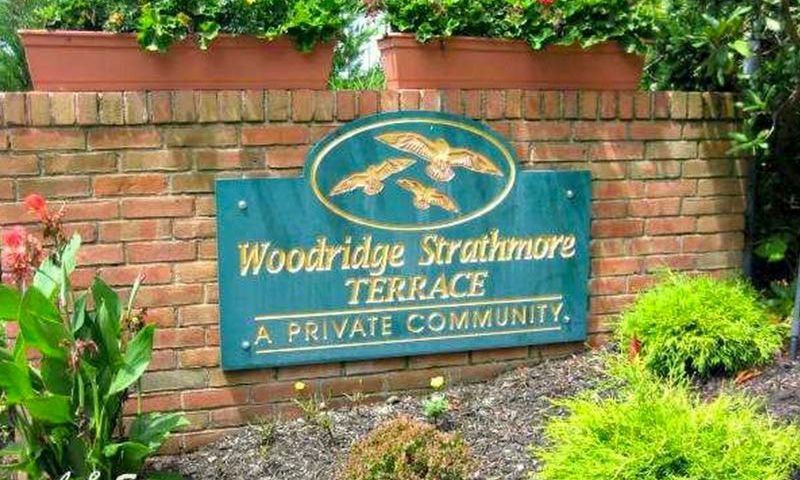 Woodridge Strathmore Terrace is a beautiful 55+ neighborhood in an exciting Suffolk County, NY location. There are plenty of activities available in Woodridge Strathmore Terrace. Here is a sample of some of the clubs, activities and classes offered here. Woodridge Strathmore Terrace was developed between 1975 and 1985 and is now home to 226 attached residences. These homes range in size from approximately 1,000 to 2,000 square feet and have one or two bedrooms, one or two bathrooms, and a parking space or attached one-car garage. These ranch-style homes contain walk-in closets, sun rooms, and wooded private backyards. Please Note: Floor plans are not available at this time. 55places.com is not affiliated with the developer(s) or homeowners association of Woodridge Strathmore Terrace. The information you submit is distributed to a 55places.com Partner Agent, who is a licensed real estate agent. The information regarding Woodridge Strathmore Terrace has not been verified or approved by the developer or homeowners association. Please verify all information prior to purchasing. 55places.com is not responsible for any errors regarding the information displayed on this website.